Pre-Tension simply means that the steel is stressed (pulled or tensioned) before the concrete has to support the service loads. Most precast, pre-stressed concrete is actually pre-tensioned-the steel is pulled before the concrete is poured. 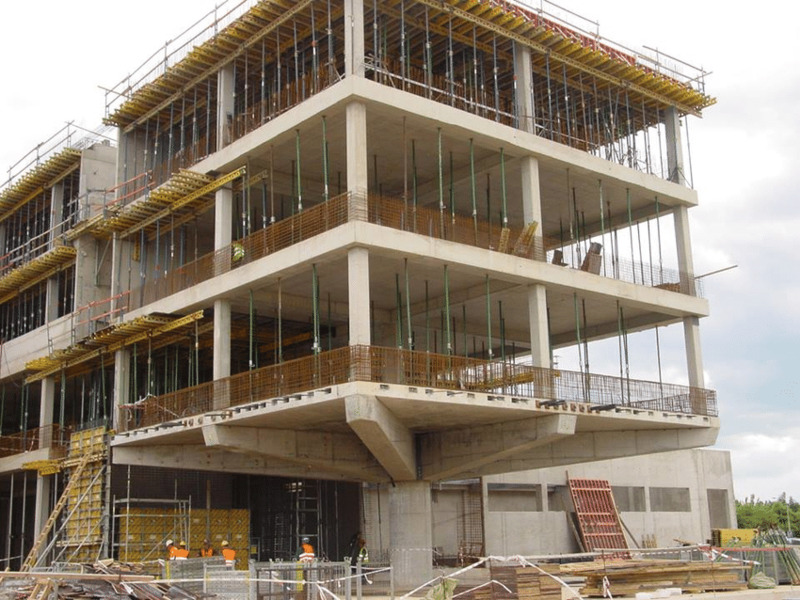 Post-tensioned concrete means that the concrete is poured and then the tension is applied-but it is still stressed before the loads are applied so it is still pre-stressed. The principle is easily observed when holding together several books by pressing them laterally. Under such pressure the whole row gains enough stiffness and strength to ensure its integrity. es fixed at each end of the tendon. 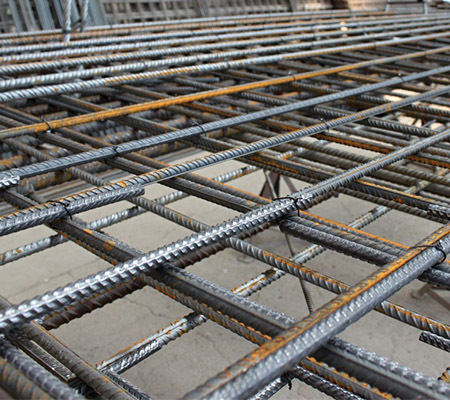 In concrete structures, this is achieved by placing high tensile steel tendons/cables in the element before casting. When the concrete reaches the desired strength, the tendons are pulled by special hydraulic jacks and held in tension using specially designed anchorages fixed at each end of the tendon. This provides compression at the edge of the structural member that increases the strength of the concrete for resisting tension stresses.If tendons are appropriately curved to a certain profile, they will exert, in addition to compression at the perimeter, a beneficial upward set of forces (load balancing forces) that will counteract applied loads, relieving the structure from a portion of gravity effects. 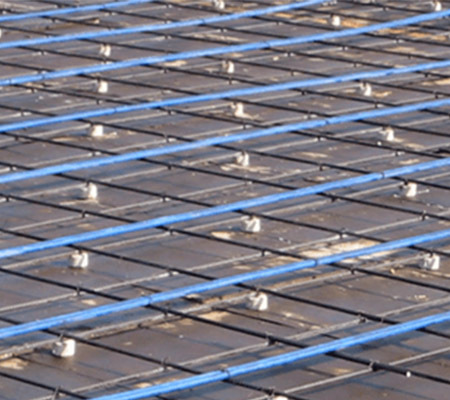 Pre stressed Concrete is preferred in Commercial , Industrial and Residential Floor Slab / Beam Constructions. - Savings in concrete and steel in comparison with reinforced concrete since more slender designs are possible due to high grade of materials. - Thinner Slabs, increased clear spans, increased headroom, Height of Building, faster shuttering and de-shuttering. -Minimized deflections compared to structural members with reinforced concrete. -High fatigue strength since the amplitude of stress changes in pre-stressing steel under alternating loads are quite small. 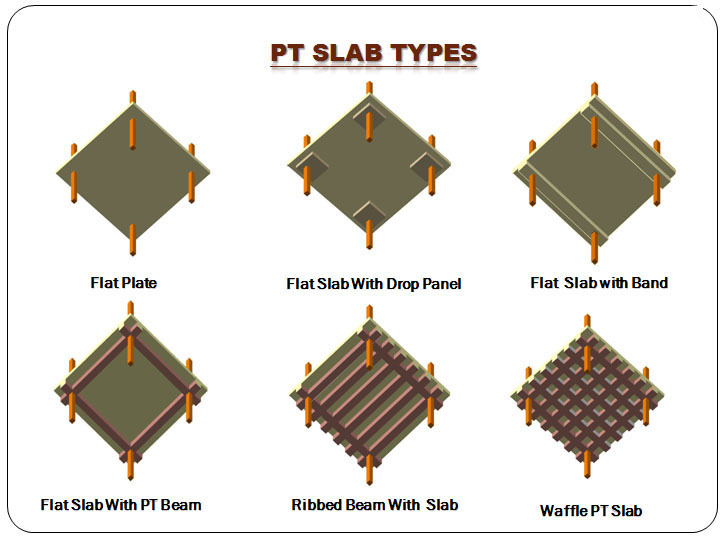 -Suspended slabs like floor slabs and terrace slabs -Slab on Grade / Foundation slabs -Cantilevers-Overhanging parts of building -Facade elements of large area -Podium slabs and parking slabs -Major beams in the form of transfer girders, floating column loads on beams etc.